First, start QuickBooks and open a company file, your own or a sample company file, log into QuickBooks Company File as Admin. 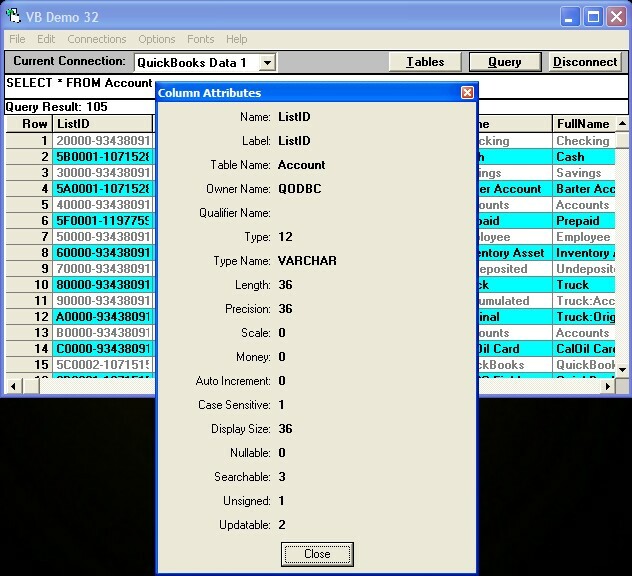 Leaving your QuickBooks company file open -> click on Start -> All Programs -> locate the QODBC Driver for QuickBooks program group on your desktop. From the menu bar select Connections -> Add a new connection -> select the Machine Data Source tab -> select the System DSN named QuickBooks Data -> Click OK. 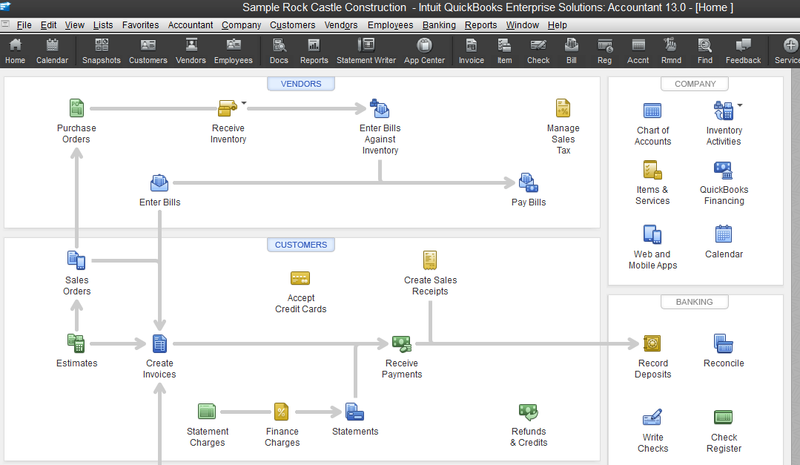 This will connect you to the current company file opened by QuickBooks. Please keep QuickBooks running, log into QuickBooks Company File as Admin. After you click OK if this is the first time this company file has been used by QODBC you will receive a popup from QuickBooks asking you to allow QODBC to run. Choose the Yes, Always option allow the Sensitive data option. 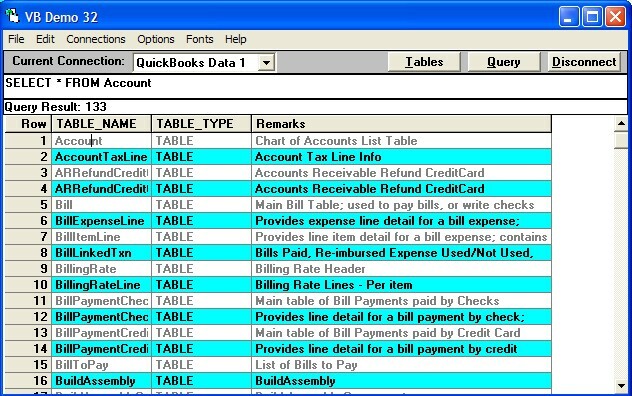 Now that you have successfully established a connection to your QuickBooks data, it's time to type in your desired SQL query, for example, you can use the default "SELECT * FROM Customer" or type in another table like stock by entering "SELECT * FROM ItemInventory" or stored procedure like "sp_report ProfitAndLossStandard". Click on the Query button and the requested query results will appear! In case you're wondering, the * in the select statement means all columns in that Table. Alternatively, click on the Tables button to see a list of all the available QuickBooks tables. If you double-click a table name it will alter the SQL to be a SELECT * FROM that table. And when a query is displayed, if you right click on the column heading you can get information about the column including if it is updateable, insertable and size and so on.